Some ups and downs this week, especially in regards to Paramount’s Star Trek franchise. There’s some truly bad casting news for some of Star Trek 4’s lead actors but also some interesting news about a popular character being cast in Star Trek: Discovery. 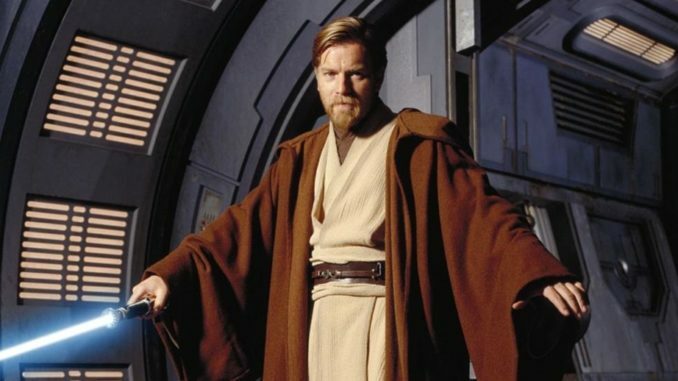 On the Star Wars side, Ewan McGregor reveals what he knows about a Star Wars: Kenobi film and Dave Filoni talks about how involved he is with the two upcoming animated series Disney is making. Plus, ABC hints that they have more Marvel television series in the works. Bad news for the fourth Star Trek movie. According to The Hollywood Reporter both Chris Pine and Chris Hemsworth have walked away from the negotiation table citing that Paramount is reneging on their deals that they had in place. 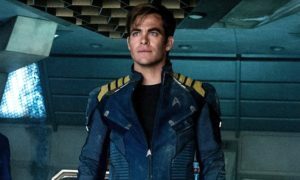 Star Trek Beyond massively underperformed at the box-office and the report states that as the reason that the studio is trying to force the actors to take a pay cut. Considering Pine made a deal to return for the third and fourth movie and Hemsworth was announced to return before Star Trek Beyond even premiered, this really does look like the studio back-pedalling on their deals. I would hazard a bet that Star Trek 4 would have a hard time breaking $500 million going by the previous box-office records so you can’t blame them to pinch some pennies. I would be surprised if this wasn’t an attempt by Hemsworth and Pine to force the studio to come back to them and renegotiate for more money. As much as I love Chris Hemsworth, he was barely onscreen for more than five minutes in 2009’s Star Trek so I can see him being recast. However, Paramount would be foolish to lose Chris Pine as Captain Kirk. Through 52 years of television and film, a parallel universe and a mirror universe, Mr. Spock remains the only member of the original bridge crew to span every era of Star Trek. The great Leonard Nimoy, then the brilliant Zachary Quinto, brought incomparable humanity to a character forever torn between logic and emotion. We searched for months for an actor who would, like them, bring his own interpretation to the role. An actor who would, like them, effortlessly embody Spock’s greatest qualities, beyond obvious logic: empathy, intuition, compassion, confusion, and yearning. Ethan Peck walked into the room inhabiting all of these qualities, aware of his daunting responsibility to Leonard, Zack, and the fans, and ready to confront the challenge in the service of protecting and expanding on Spock’s legacy. In that spirit, we’re thrilled to welcome him to the family. 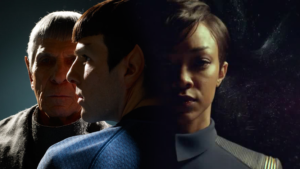 The character of Spock has a cultural significance that is bigger than even James T. Kirk. Peck has some really big shoes to fill but I’m hopeful he’ll be up to the task. In terms of Marvel, we have some things that we are in discussions with them right now that we are in development. […] I’m very excited about it. We probably won’t hear more about it until pilot season. 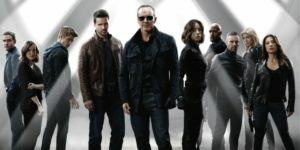 I think that the lesson Marvel has learned from S.H.I.E.L.D. 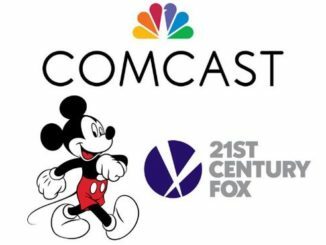 is that they should make television series about actual characters in their catalog so I suspect they’ll be making a series about some lesser known character or team. Let’s just hope they also learned from their Inhumans series and make a good series. I would totally do it, of course. There’s no plans, as such, as far as I know. It’s so funny, I’ve been asked this question for years and years.I’d be happy to do it. There must be a good story to tell, as they’re doing spin-offs. There’s likely to be a good Obi-Wan [movie] between me and Alec Guinness. I’ve answered yes so many times, it looks like I’m sort of touting for work at Disney’s door. I do always take what actors say with a grain of salt. Sometimes they’re under strict instructions not to reveal anything so the same could be said in this case. Or it could be that there actually is no Kenobi film being developed. All we do know for sure is that Lucasfilm revealed that they are developing multiple Star Wars movies after shooting down the rumor that they were shutting down development of spinoff films when Solo: A Star Wars Story underperformed at the box-office. The one person who has actually made the biggest contribution to the Star Wars canon, in terms of sheer viewing hours, is not George Lucas— it’s actually Dave Filoni. He’s run two animated series with The Clone Wars and Star Wars Rebels that have really expanded the universe. I would even easily say that The Clone Wars was not only far superior to the prequels, but made Anakin’s fall to the dark side a lot more nuanced. So right now, Resistance is a bit different, in that I’m not on that day-to-day. I created and set it in motion, but I’ve given that to other people to raise up, people that I’ve worked with a long time, who I think deserve the opportunity to tell stories and I think it’s exciting, and I give them my thoughts and notes – I was just doing that this morning, like George would give me. So that’s fun. And then obviously with Clone Wars I’m very in the weeds on that and will have to be, because I myself have had to go back and watch a whole bunch of stuff that I had done, and I went back and watched Revenge of the Sith and Attack of the Clones in depth again. I’m like, “I have to upload this whole timeline.” Just the intricacy of how the clones got made and where Dooku was and all of those things were stuff that I was just doing from memory at the time, because I was in it. Then I switched time periods and went on and did Star Wars Rebels, so to go back into Clone Wars, I have to remember, “Wait – where was everybody? How did that work?” And I had charts and figured all this stuff out, but I’ve uploaded the chip now, so I’m good. 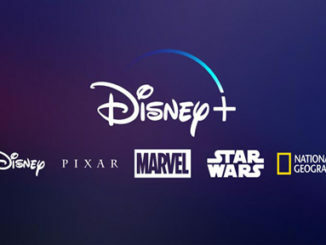 Clone Wars was unceremoniously cancelled just after Disney bought Lucasfilm but, Feloni announced last month at San Diego Comic-con that they’ve resurrected it for the Disney streaming service. I’m not too sure how much story is left in that series as it felt like it was getting close to Revenge of the Sith but the revival brings an interesting wrinkle. With Rebels wrapped up but leaving some questions in regards to certain characters, he can actually build in some clues and retcon some things in Clone Wars that could tease the audience. This week I really feel bad for Star Trek as the franchise just seems to not be able to run as smoothly as it did from the 80s to the early aughts. Between it and Star Wars you get a very Marvel vs. DC film vibe. That’s not to say that Star Wars hasn’t stumbled, they have, but it is a really fine tuned machine in comparison to Star Trek. I hope whatever needs fixing in both camps does get fixed because I love both franchises dearly.